With the rise in popularity of angel wing tattoos, it leaves many people wondering about the meaning behind these popular wings that are used in a variety of designs and most often placed on the back of the body. What is the meaning behind these tattoos and where can the origins of the angel wing tattoos be found within the history of tattooing? The meaning of the angel wing tattoos are pretty straight forward and include the individual being able reach new heights in their life through the use of these wings which have come from the back. Although real angels are not depicted having wings in the bible, there are many other publications in the form of books and movies which have made these types of tattoos increasingly popular throughout pop culture. Other people have decided to get the angel wings to establish their wish to do good within their life and their wish to good within their soul. These types of tattoos are often used to portray a goodness in which the individual feels emanates from the body. 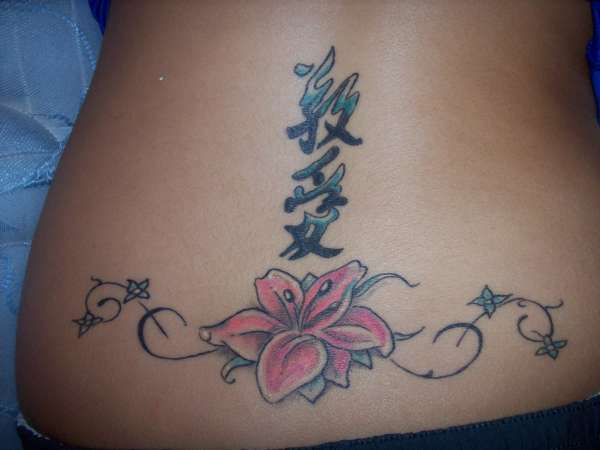 It is a very personal tattoo choice and therefore can be seen in a variety of instances. While choosing the angel wing tattoos, there are also many people who have chosen to get the angel wing tattoos as they have lost someone special to them, symbolizing the presence of a guardian angel. Traditionally, angels are seen as guardians of mere mortal men. They are prevalent throughout Christianity, Judaism, and Islam, so angel wing tattoos don’t really carry the stigma or relationship of any of these religions. That means that anyone can feel comfortable sporting a pair on their body. Angels also hold the distinction of being God’s personal messengers, at least to a sizable number of the people who will see your tattoo. Still, it’s important to realize that your tattoo doesn’t necessarily have to possess any kind of religious connotation. What’s yours is yours, and when the ink dries, you’ll have a unique design that has never been seen before. Guardian angels are also very popular. These are seen as a method of protecting the wearer from evil. One of the most frequent visitors to the tattoo studio is a person who has recently experienced tragedy in the form of a death in the family. They seek to ink an angel somewhere on their body to represent the departed person watching (and protecting) them from above. 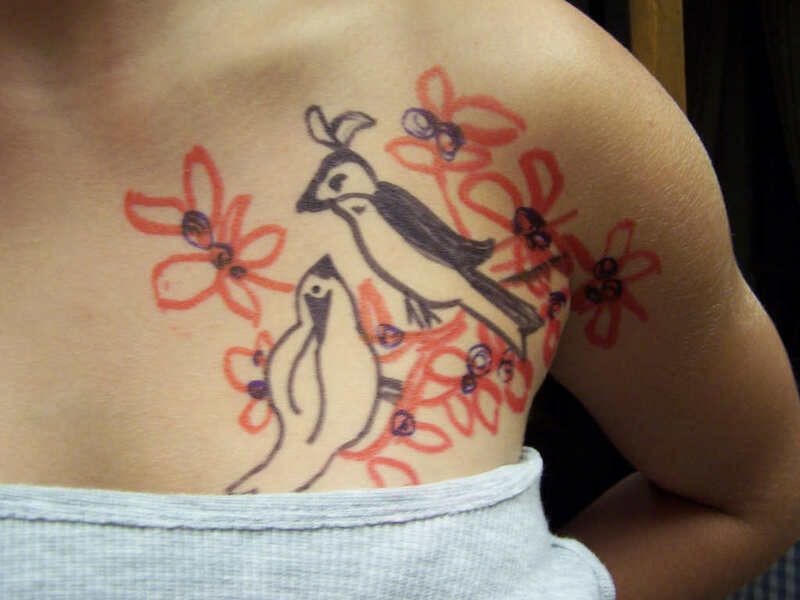 Your angel wings tattoo can be as intricate or as simple as you want. Many people like a design that shows individual feathers. Remember that this tattoo represents you: therefore, it should be a unique and strong design that makes a personal statement. 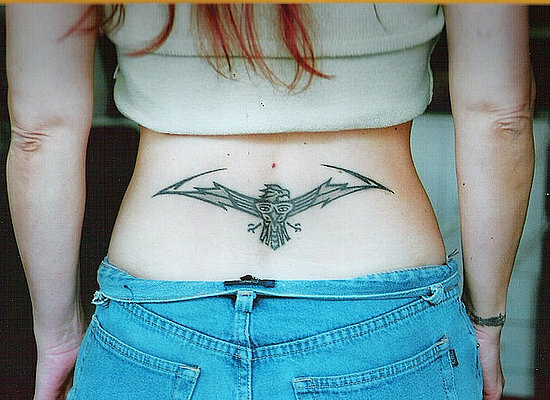 Obviously, with a more complicated design, you’ll need more money to make your dream of an angel wing tattoo a reality. Keep in mind that this symbol will be with you forever, so you may want to budget a little extra to finance the special little touches that will set you apart from the crowd. 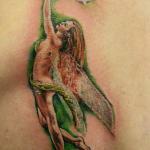 An angel tattoo is a beautiful way to express whatever message you seek to impart to others. You’ll have the attention of an entire room (or beach!) whenever your tattoo is visible. There’s nothing sexier or more mysterious than an angel waiting to swoop down from heaven with an important message, and your tattoo will certainly reflect that. Head to a local shop today to see the different designs and styles available to create your unique angel wings.